Tennessee is a well known tourism hotspot with over 10,556 eating and drinking establishments throughout the state. There are currently about 294,800 restaurant and food service jobs with an additional 31,000 jobs expected by 2026. There will be an increase in demand for highly educated and trained culinary professionals to fulfill this need. Earning a degree or credential in the field is a great way to stand out and obtain position in this exciting field. We created a list of the top 10 best culinary schools in Tennessee. Schools selected for this list feature hands on programming, a low student to faculty ratio, and a positive reputation in the field based on our research. Many of the schools are accredited by the American Culinary Federation. Glencliff High School features an exceptional culinary program that is one of the most popular vocational programs in the area. This award winning program has had students compete in culinary competitions at the national level and have won top state awards the past two years. Students have the opportunity to apply their skills and techniques twice a month in the Southern Tea Room where they get to create a menu, develop a budget, prepare the lunch, and serve to faculty. Students are also provided the opportunity to participate in job shadowing opportunities, career fairs, and internships. Middle Tennessee State University features a Bachelor of Science degree in Nutrition and Food Science. The degree focuses on nutrition and how to select and prepare nutritious foods. Students have the opportunity to prepare food in a newly renovated food lab with state of the art equipment. Area hospitals and nursing homes often request Nutrition and Food Science students and graduates work in their facilities. Graduates have also gone on to work with professional athletes to address their specific nutritional needs. Chattanooga State Community College features an AAS degree in Hospitality and Tourism Management with a concentration in the Culinary Arts. The program prepares students to work in restaurants, hotels, catering operations, and health care facilities. This 60 credit hour program can be completed in two years. Coursework includes ice carving, management, catering, legal aspects, supervision, and management. An internship opportunity is provided as part of the program to allow students to gain work experience before entering the field on their own. 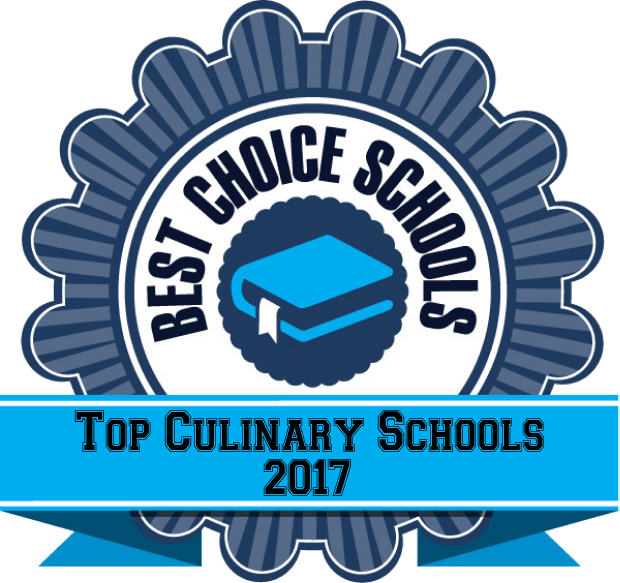 L’Ecole Culinaire is a top accredited culinary school offering both a degree and diploma program. Students in the Associate Degree program can finish in 70 weeks, taking an exciting blend of coursework including beverage development, contemporary cuisine and plate design, moist and combination cooking methods, and cost control. Advanced students work in the on-campus restaurant, preparing and serving gourmet style meals to the public. L’Ecole just introduced its own food truck to Memphis, Le Food Truck, allowing students to take their skills on the road and be on the forefront of the food truck phenomena. In the heart of Nashville is the Art Institute of Tennessee. The Art Institute features multiple degree and diploma programs for students at every step of the career ladder. The program is hands on and a significant amount of time is spend in an actual kitchen environment, mastering culinary techniques. Instructors are some of the best in the industry and have a wide variety of professional experience in the field. The Art Institute is a top culinary school that teaches to International as well as American cuisine, allowing students greater diversity in their professional career. The Chattanooga Culinary program features both a Diploma in Culinary Arts and a Diploma in Baking and Pastry that can be completed individually or together in just 15 months. Culinard features a state of the art kitchen with cooking stations and a small student to faculty ratio. Students learn to provide high quality food using proper technique. Both the Baking and Pastry program and the Culinary Arts program have an externship component allowing for professional development. The program is accredited by the American Culinary Federation. Nashville State Community College features an AAS degree in Culinary Arts that is accredited by the American Culinary Federation. Students learn to think in a creative manner and work as team in a professional kitchen environment. This top culinary school has a hands on program where students develop and apply their culinary skills. Students learn how to create a menu, develop a budget, use cost control and inventory control measures, and prepare foods in a sanitary environment. Two-300 clock hour paid internships are part of the curriculum allowing students professional work opportunity before graduation. Pellissippi Community College features an accelerated AAS degree in Business Administration with a concentration in Culinary Arts. This program is offered in collaboration with the University of Tennessee and is accredited by the American Culinary Federation. Students complete the program as a cohort to allow for a greater sense of a team atmosphere. Graduates are prepared to enter the workforce in a variety of positions in restaurants, catering clubs, resorts, or nightclubs. The Rel Maples Institute for Culinary Arts at Walters State Community College is a top culinary school featuring a variety of culinary degrees and certifications that are accredited by the American Culinary Federation. Rel Maples Institute of Culinary Arts includes a 2,100 square foot facility where students have access to a state of the art kitchen, bake sop, demo kitchen and dining room. Students create menus, prepare food, and serve at special catered around campus. The program features hands on learning while in the program and during their internship experience. Graduates are prepared for career in baking, food service, restaurant management, and non-commercial food service. Southwest Tennessee Community College features an AAS degree in Hospitality Management with a concentration in Culinary Arts. This top culinary school features a state of the art kitchen and classroom so students are always working with the latest in culinary technology. This 60 credit hour program features a wide variety of courses including ice carving, professional catering, management, and nutrition. The culinary program at STCC has several partnerships with exciting companies offering internship opportunities. Disney is one of the most popular of these partnerships. Graduates of this program are well prepared to become entry level chefs in a variety of settings including restaurants, resorts, and hotels.